Two, I visited 佛山市 Foshan (Fatsan) city, which is well known for it’s affiliation with Wing Chun, both from folk lore and real stories and practitioners. 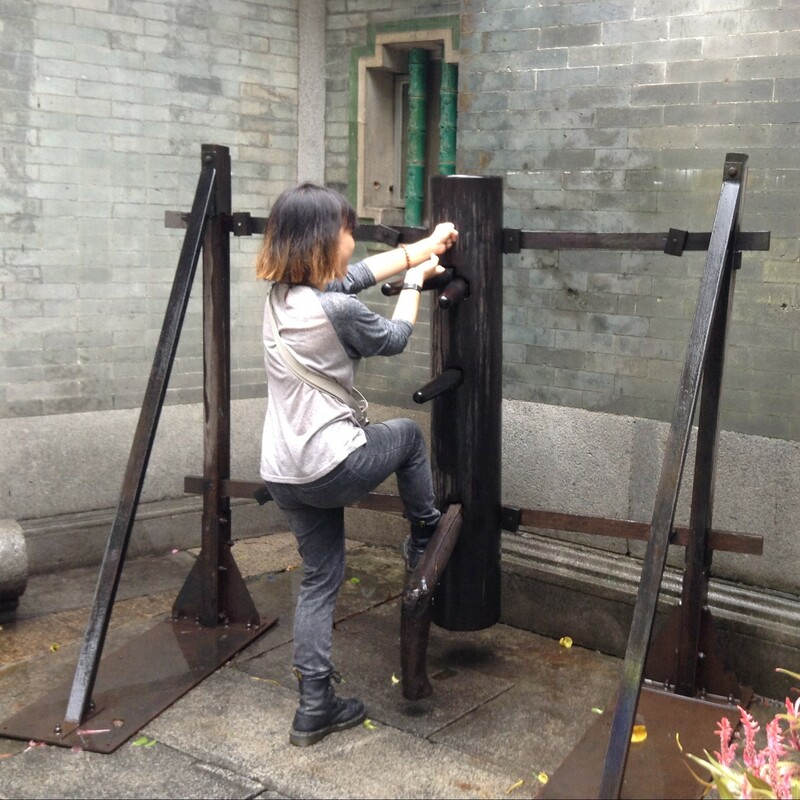 However, this initial exploration was not particularly fruitful with regard to Wing Chun. For one, my visit was during a holiday, and people were on holiday, and tourists were everywhere. Also, I was travelling with friends, and the goal of the trip was not entirely martial arts oriented. However, we did visit a museum which housed exhibits for 葉問 Yip Man and the famous 黃飛鴻 Wong Fei-hung; which presented an interesting contrast of appearance. Yip Man being much lighter and focused on small relaxed technique, and Wong Fei-hung being very strong and, besides using a harder style of martial art than Yip Man, also engaged in a lot of strength training. While in Foshan we stumbled across a martial arts equipment store, and found some butterfly knives. Also, I had heard that there was a street famous for martial arts, by the name of 筷子路 Chopstick Street. We found this street and walked down it, but all we saw were old preserved and gutted buildings, and a lot of calligraphy art for sell. The street was quite small and was populated with some shady-looking characters, but unfortunately no kung-fu fights broke out. Much time has passed since these events, during which I had heard word of various kung-fu groups practising around the 中山大學 Sun-Yat Sen University area, which lead to some more interesting meetings.